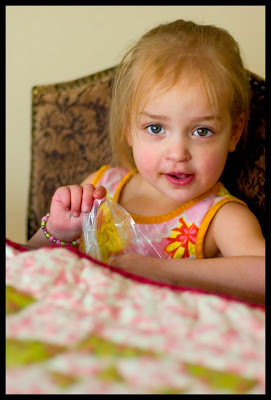 Share-A-Craft is just as much fun as a tilt-a-whirl, but with less stomach upset and possible vomiting. Every Monday, I post a project of any type that I've recently or not so recently done. We'd love to see what you've been making too. Send me an email with your name and a link to your project at karah99 @ gmail.com. 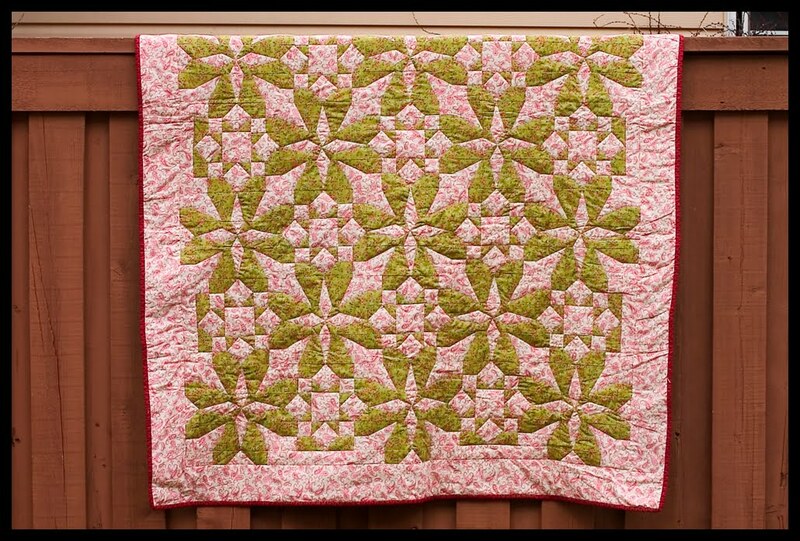 I also have a quilt I technically finished ages ago, but I hated the way I quilted it and started to unpick it. 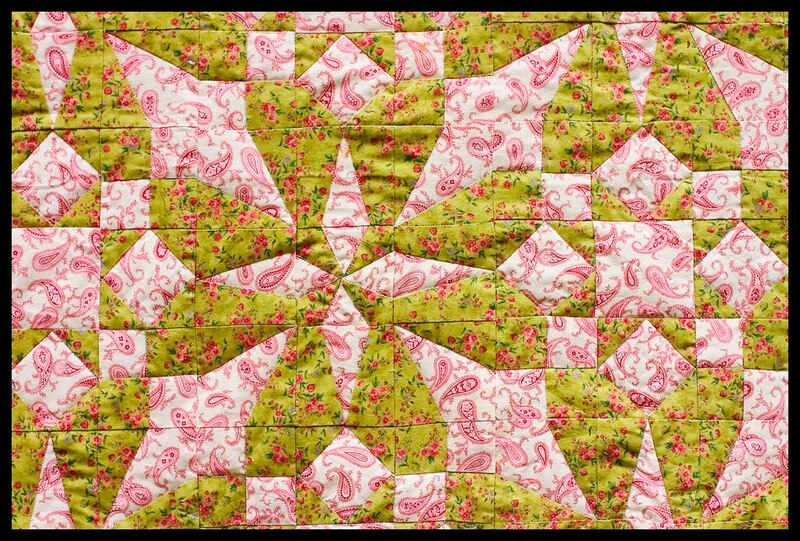 This week I finished unpicking it and started quilting it again, but didn't get too far on it. The nice thing about this project is that I already did the binding, sooooo, as soon as I finish quilting, I will be instantly done! Hopefully, next week I will finish. 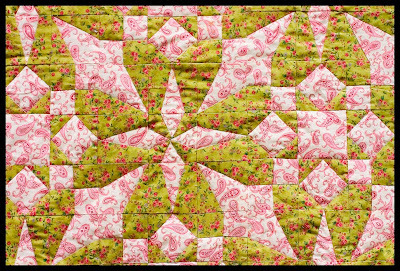 I have to say I'm pretty sick of quilting, lol. 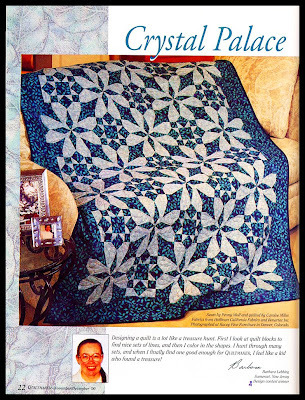 Yep, that's the very same quilt that I finished last week. 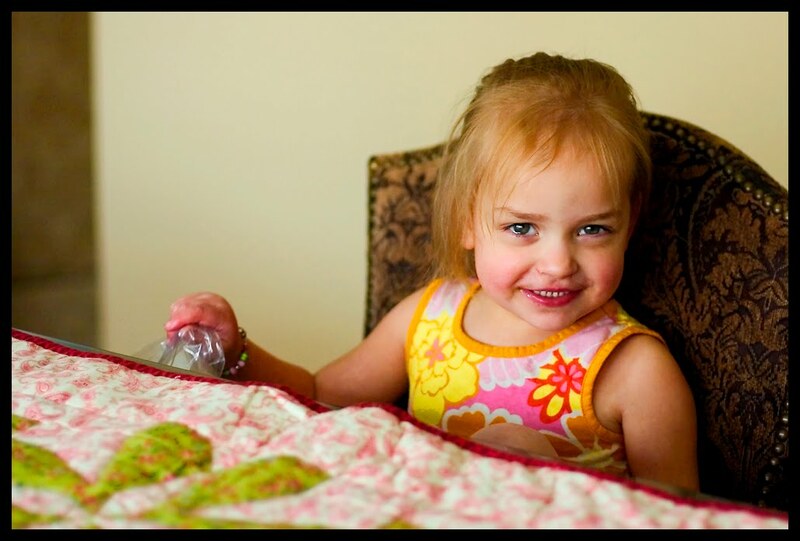 I bought fabric for it and for the purple/green quilt when I found out I was pregnant with Aubrey. I finished the purple one before she was born. The pink/green one, not so much. 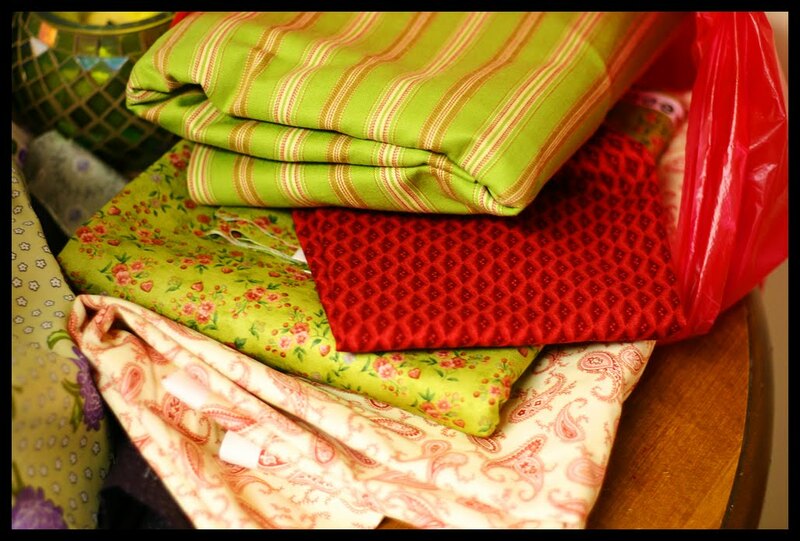 I even found a picture of the fabric, which I bought in February of 2007. Isn't it so pretty? Look, it's pregnant me, holding the quilt. Too bad you can't see the bump that is Miss Bree Bree. 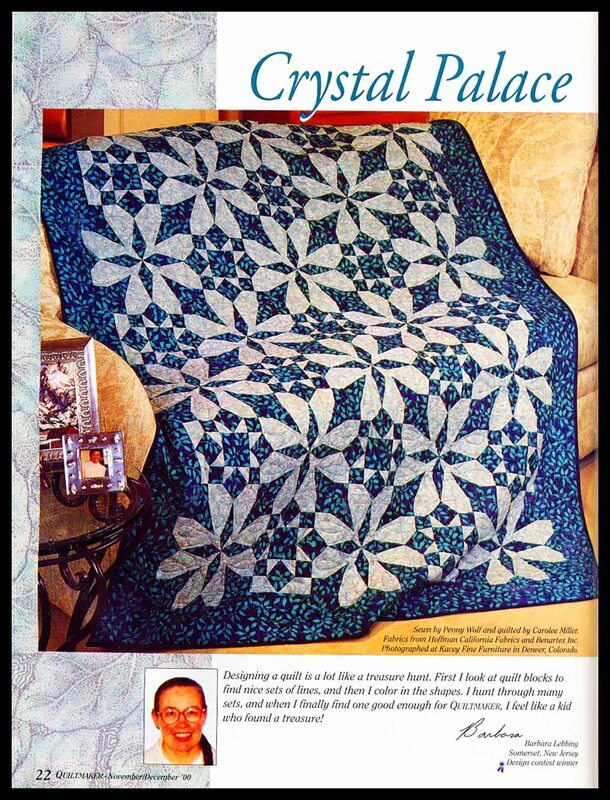 I had always planned on doing this intensely complicated quilt for the pink/green one, from Quiltmaker magazine, the Nov/Dec 2000 issue. I sewed it up and I was a little disappointed that it didn't have more contrast. I still love the pattern though. When I first quilted it, I did stippling, which is an overall, random pattern. It looked even worse, because the lines of the blocks were diminished. I unpicked it, and decided to do a simple stitch in the ditch. Simple meaning crazy complicated and time consuming and completely boring, which is why I stopped in the middle and never came back to it. It turned out much better than the stippling, and I'm glad it's finally done. Aubrey likes it too. Poor thing has been sick for ages. She has a gaunt looking face and swollen eyes. I will rejoice at the day when we are all healthy again. Just too cute! No problem about the tut thing...you can link up any fun project! Hope to see your stuff again! Great quilt. 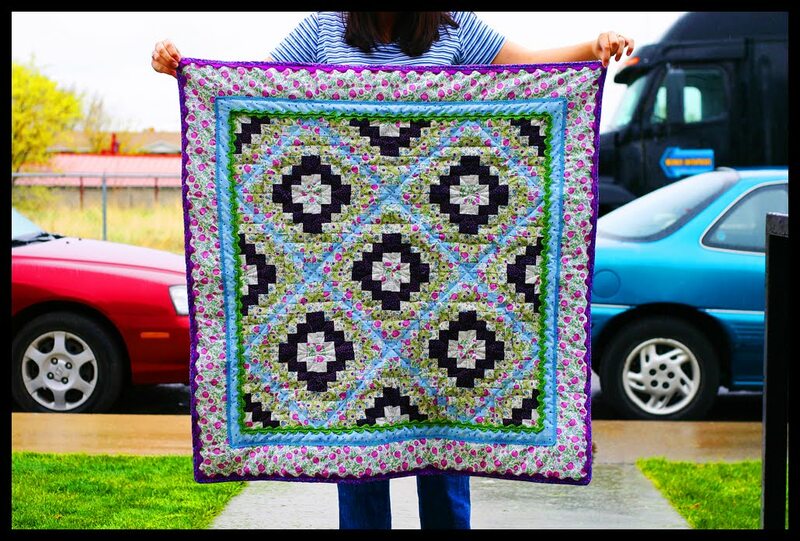 I really need to learn how to make a "real" quilt! 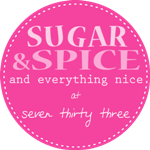 Thanks for linking up to Sugar and Spice!